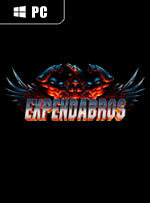 The Expendabros is an official crossover game from Broforce developer Free Lives, Devolver Digital and The Expendables 3. 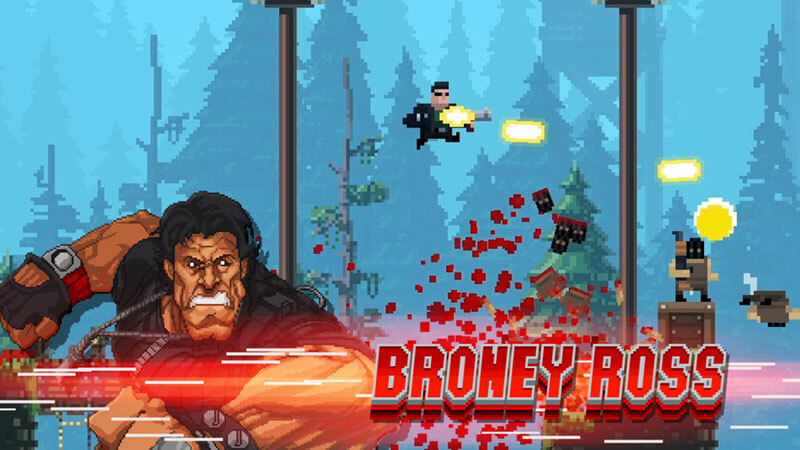 The Expendabros have assembled and set their sights on the forces of ruthless arms dealer Conrad Stonebanks in the forests of Eastern Europe. 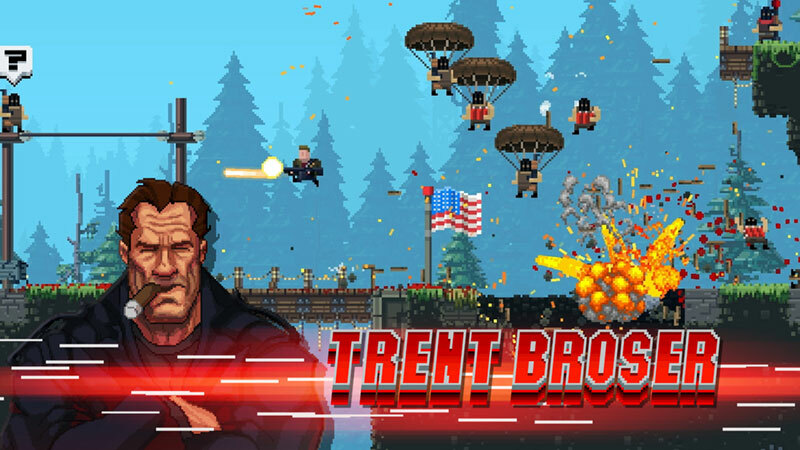 Battle in a flurry of bullets and non-stop action through ten full-throttle missions set amongst the picturesque tree tops and the absurdly dangerous lumber mills teeming with enemy soldiers, excessive artillery, and inconveniently placed circular saws. 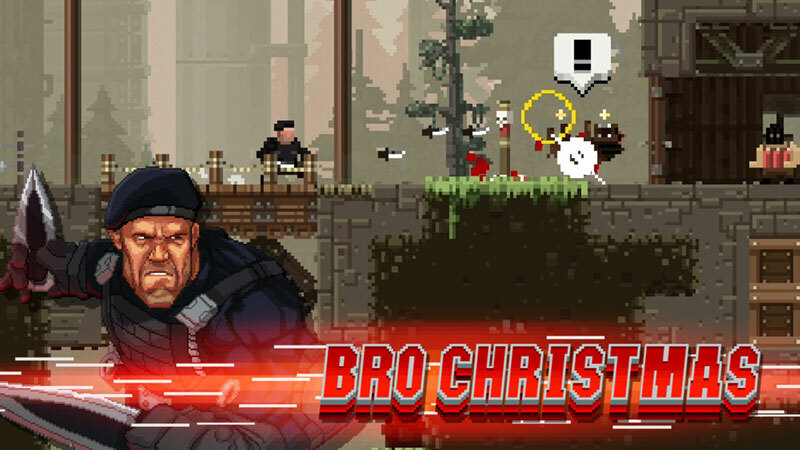 Rescue your brothers in arms and play as seven different legendary soldiers – each with their own unique weapons and special attacks – with up to four players at once in local multiplayer co-op mode. 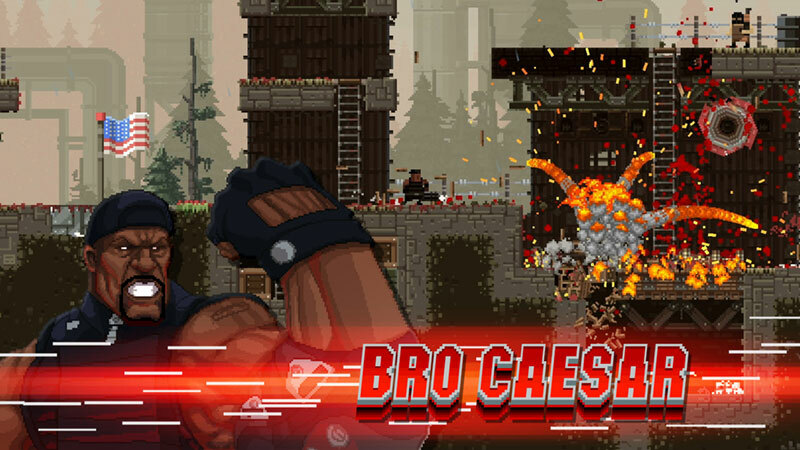 All in all The Expendabros does exactly what you'd expect; it brings a bit of Broforce to the movie franchise, and at the same time acts a wonderful advert for a game that's still on the receiving end of spit and polish via Early Access. 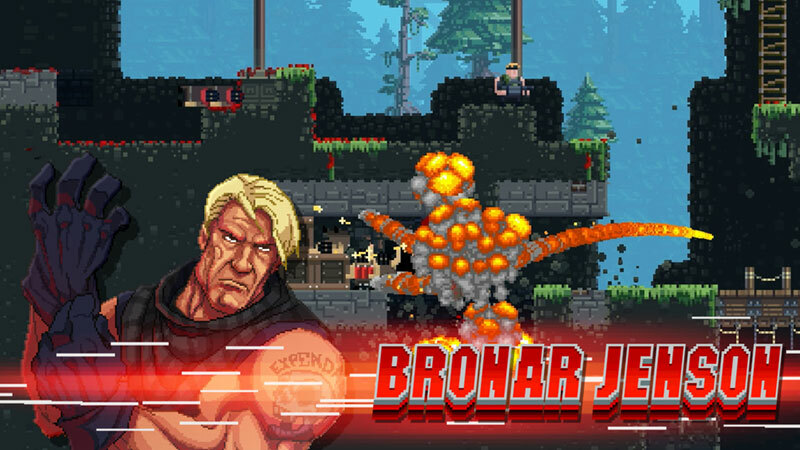 Yes the offering here is a little shallower than it is in the main game, but when your getting something for nothing, it'd be rude to complain too loudly about that.